Kalibangan as a pre-historic site was discovered by Luigi Pio Tessitori, an Italian Indologist (1887–1919). He was doing some research in ancient Indian texts. He was surprised by the character of ruins in that area, and he sought help from Sir John Marshall of the Archaeological Survey of India. 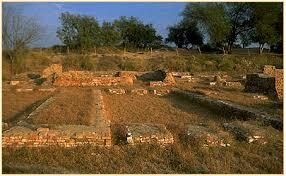 At that time ASI had some excavations done on Harappa, but they never had any idea about the character of the ruins. In fact, Tessitori is the first person to recognize that the ruins are 'Prehistoric' and Pre-Mauryan. Luigi Pio Tessitori also pointed out the nature of the culture, but at that time it was not possible to guess that Indus Valley Civilisation lay in the ruins of Kalibangan, and he died five years before Harappan culture was duly recognized. After India's independence, both the major Harappan cities together with the Indus became a part of Pakistan and Indian archaeologists were compelled to intensify the search for Harappan sites in India. Amlānand Ghosh (Ex. Director General, Archaeological Survey of India, or ASI) was the first person to recognise this site as Harappan and marked it out for excavations. Under the leadership of B. B. Lal (then Director General, ASI), Balkrishna (B.K.) Thapar, M. D. Khare, K. M. Shrivastava and S. P. Jain carried out excavations for 9 years (1960-9) in 9 successive excavation sessions. Two ancient mounds were excavated, spread over half kilometer. On western side is the smaller mound (KLB1), 9 meters high and known as citadel. Eastern mound is higher (12 meters) and bigger, known as lower city (KLB2). The excavation unexpectedly brought to light a twofold sequence of cultures, of which the upper one (Kalibangan I) belongs to the Harappan, showing the characteristic grid layout of a metropolis and the lower one (Kalibangan II) was formerly called Pre-Harappan but now it is called "Early Harappan or antecedent Harappan". Other nearby sites belonging to IVC includes Balu, Haryana, Kunal, Haryana, Banawali etc. Traces of pre-Harappan culture have been found only at the lower levels of the western mound. According to archaeological evidence, the Indus Valley culture existed at the site from the proto-Harappan age (3500 BC - 2500 BC) to the Harappan age (2500 BC - 1750 BC). 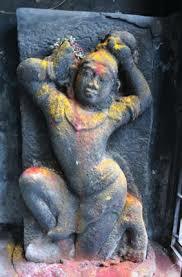 This earlier phase is labelled Kalibangan-I (KLB-I) or Period-I. Similarity of pottery relates Kalibangan-I with the Sothi culture because a lot of this pottery was later discovered at Sothi village in North Western India. ED: In which year did pass school? KPS: I passed out in 2007. ED: What did you do? KPS: I did my LLB and am now doing LLM ( Masters in Law) from JNV University, Jodhpur. ED: What are you doing nowadays? KPS: I am a Criminal Lawyer at the High Court, Jodhpur. ED: Did you participate in any tournament? KPS: I played Under 14 and 19 Cricket Tournament at District and State Level..
ED: Who was your favourite teacher when you were studying in this school? KPS: Well a difficult question to answer, Okk. Jayita Ma’am. ED: Do you remember any of your batch mates? Are they still in contact with you? KPS: My batch mates were Heena Vyas, Vimmy Rajpurohit, Chandan, Khushvendra Singh, Gajendra Singh. 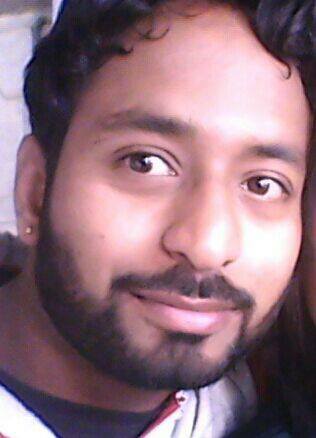 Kapil, Paresh, Gaurav, Naveen, Shivani, Priyanka, etc., Some of them are in contact with me. ED: Tell us about your memories in Fabindia. KPS: I have countless memories of the school. My whole childhood I spent in Fabindia, so no words for it. ED: What message would you like to give to the Juniors? KPS This is your school kids. It is really wonderful to study and do other activities in our school, a perfect silent and non-disturbing atmosphere to learn and grow. Juniors keep the name of Fabindia high and message for my friends is that I miss all of you a lot. Teachers were busy in checking the answer sheets of SA2 and Final Examination. The staff wishes Mr. Pralay Nag a very ‘Happy Birthday’. And a reason to live on earth. For this I am very glad. You gave me family so wonderful! And this has made my life beautiful! And helped me to become nice. Now no longer to suffer. To study and no play. Saturday, 25th March: SA II of Class VI to XI got over on 25th March. Final Examinations from Class Nursery to V got over on 23rd March. The students were seen relieved after a span of ten days. The teachers are busy in correction work. The students of Class III- VIII, XI were shown their Exam Papers and the marks obtained in SA II on 16th, 18th, 21st and 23rd March. May they come up with flying colours in their Academic Result which is going to be held on 3rd April’2017.